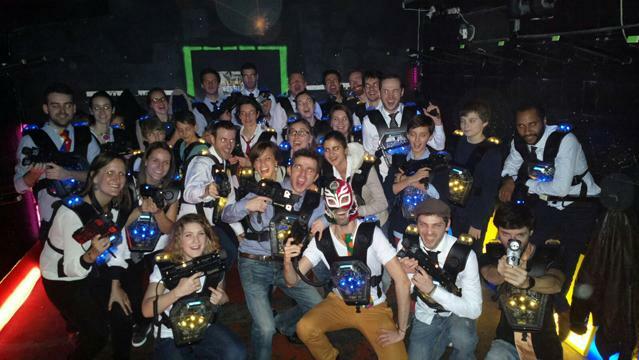 Come to celebrate your birthday at Laser Paris with your friends, family or colleagues. 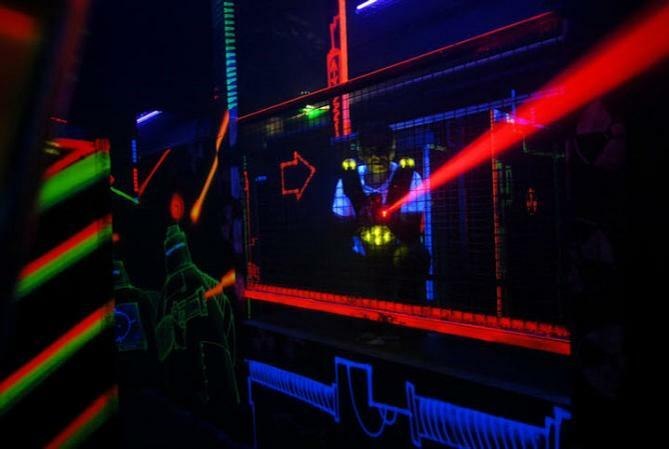 • A 20 minutes laser game session. • A 20 minutes break with a birthday cake and drinks *. 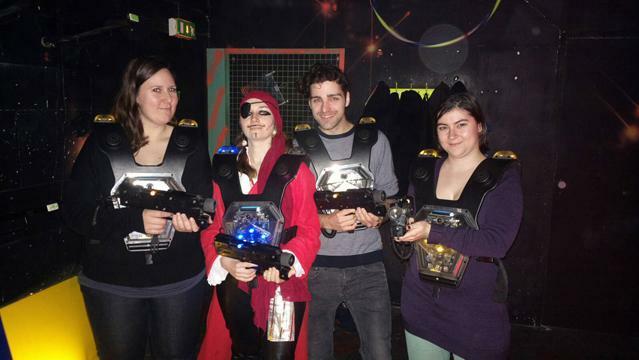 • A second 20 minutes laser game session. Total stay duration : 1h30. – 1 reserved table well prepared with spoon, plastic glass, cover. 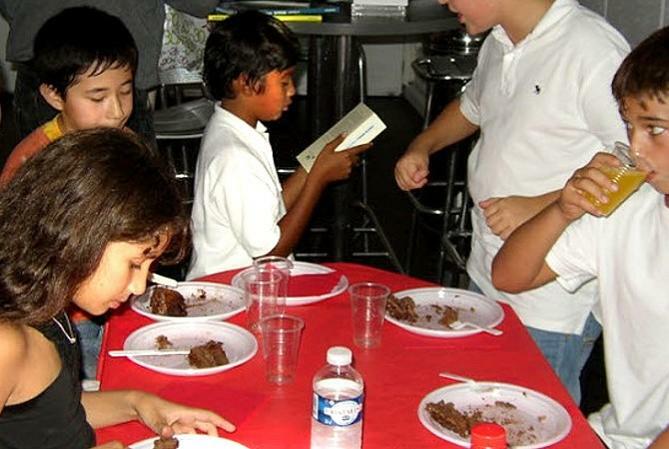 – The cake : Fondant au chocolat. – Drinks : Big Bottle of orange juice, water or soda (25 cl per pers.). – Add on : Big Bottle of orange juice, water or soda. Price : 6 € to be taken at Laser Paris. On WEDNESDAY, SATURDAY, SUNDAY and Jours fériés, booking only at 14:00 or 16:20 and after 19:00 except on Sunday. Is your young girl or boy life over? 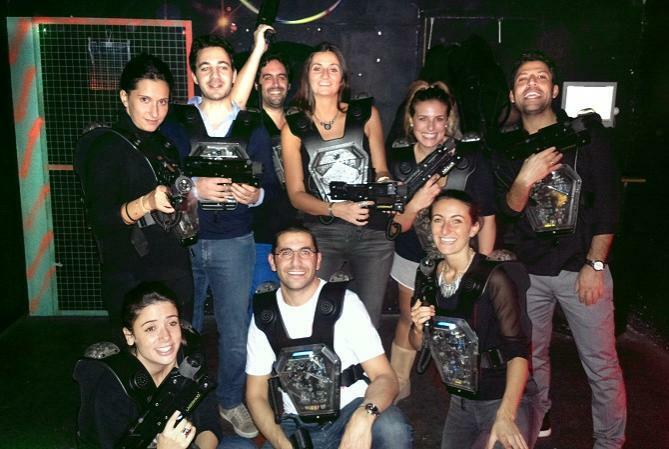 Come at Laser Paris and bury it happily with your friends, relatives and colleagues. • A 20 minutes break with a drink can ou mid bottle of water. Total stay duration : 1h00. 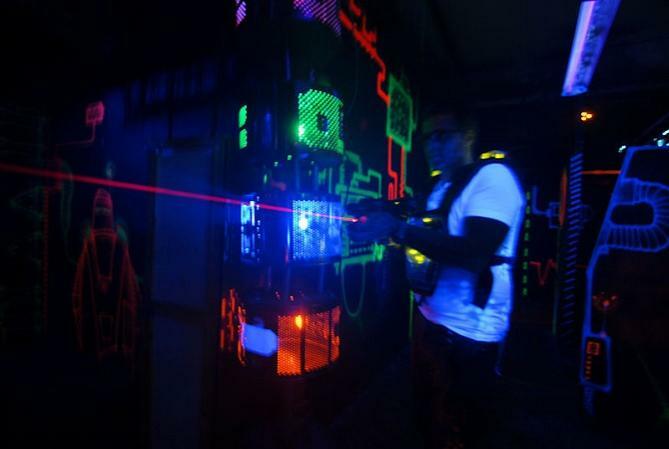 20 minutes Private laser game session at Laser Paris. You play your group in "privacy" from 2 to 32 players. 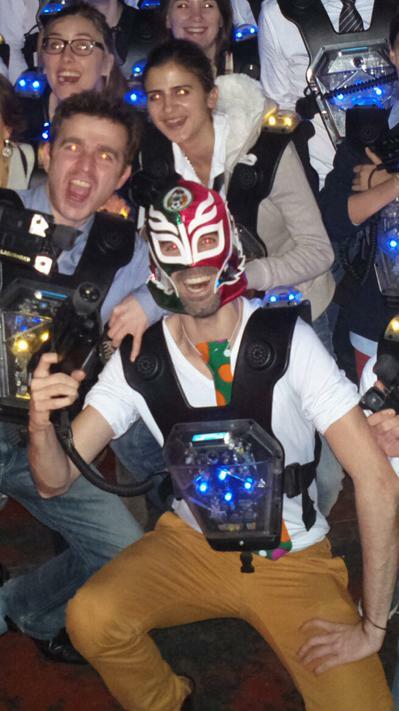 Come to celebrate your Rallyes at Laser Paris with your friends, family. • A 20 minutes break with 3 mini viennoiserie / Pers. and drinks *. – Buffet table with tablecloth and plastic glass. – Mini Viennoiseries : 3 per Person, chocolat croissant, croissant, raisin bread. – Drinks : Big Bottle of orange juice, water or soda (25 cl per Pers.).. 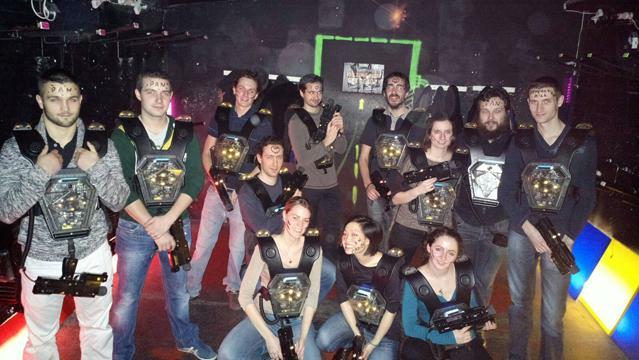 20’ laser game session at LASER PARIS.